TVB actor Joe Ma's son, Zai Xiang, is once again taking the internet by storm as every woman's fantasy - a lifeguard. In a social media post by Joe, he congratulated the 20-year-old on being certified as a lifeguard on Bondi Beach. Joe wrote: "Congratulations to Little Zai for becoming a Bondi Beach lifeguard! You have become a real man who is capable of taking care of others, but you must remember to look out for yourself too!" 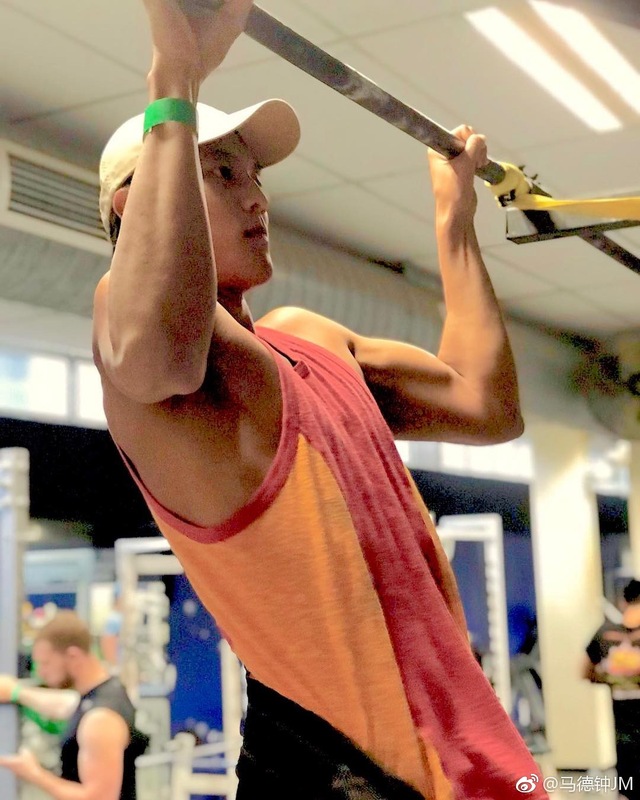 The post was accompanied by various photos - including one of Zai Xiang at his lifeguard "graduation ceremony" where he's sporting a strikingly pink crop top that shows off his athletic physique and sun-kissed skin. Man, talk about turning up the heat on the beach. And another where he's running through the beach decked out in a pair of swimming trunks. Anyone thirsty yet? Looking at these photos, we couldn't help but wonder... is Joe thirst trapping his son? Perhaps not intentionally, but clearly the fact that both father and son are known for their chiseled and masculine good looks aren't lost on them. In fact, it's been pointed out that the younger Ma bears a close resemblance to his father. Before you write Zai Xiang off as just another pretty face though, you might be interested to know that not only is he pursuing a mechanical engineering degree in Australia; he is also a polyglot. Yes, this gorgeous chap is fluent in English, Mandarin, Cantonese, and French. And, he plays the violin and piano too. He is also a competitive swimmer who clinched eight gold medals in at a swim meet in Sydney; and a part-time model who has walked for the Hermès Men's Fall Collection in 2017. Look at him serving so much face on the runway! Most recently, it's been reported that Zai Xiang is following in his father's footsteps in showbiz and signed a contract with Shaw Brothers. However, Joe has mentioned in a recent interview that he would prefer his son to focus on his studies first. Joe said: "A lot of agencies have contacted my son, but for now, I would rather he focus on his studies first. "I am not sure how much interest he has in acting, but I do want him to do what he wants. It's his decision." Well, only time will tell when we'll see this multitalented and multilingual Asian hottie grace the silver screens. But, one thing's for sure, it would definitely be a treat to see him running down the beach Baywatch style. Could he be the Asian Zac Efron? We definitely won't be mad about that.